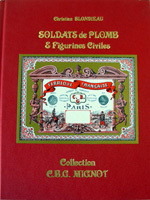 Catalog for our May Auction. 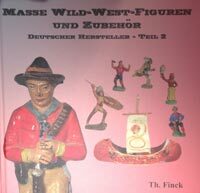 Purchase the catalog for this two day auction. Our catalog for the first two day sale in 2019. 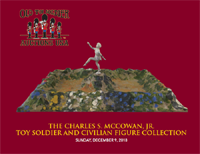 Old Toy Soldier Auctions Presents The Charles S. McCowan Jr. Toy Soldier and Civilian Figure Collection on December 9th, 2018 at 10am Eastern. Charles McCowan graduated from Staunton Military Academy in 1961 and has a business degree and Juris Doctor degree from LSU; he served in the US Army JAGC from 1967-1971 and is now retired. Married for 55 years to Mary, he has two children and five grandchildren. His favorite item in the collection is the extremely hard to find Nymph from the Britains Garden Pond. Mr. McCowan was a participating winning bidder in both the Malcolm Forbes auction held by Christies in New York and in the Britains Archive auction held by Christies in London. 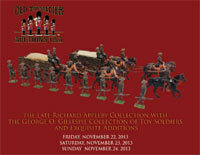 Old Toy Soldier Auctions Presents Soldiers Fall in Line, a 3 day auction consisting of toy soldiers for everyone! 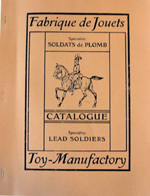 Featuring many sets of Edmund's Traditional Toy Soldiers produced by Edmund's Traditional Toy Soldiers of San Francisco, CA. Each set is handmade, solid cast and painted by Edmund Fangonilo. They are packaged in a foam-lined deluxe box. 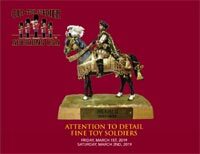 The soldiers are created in the traditional old toy soldier style, scale is 54mm and made with great attention to detail. 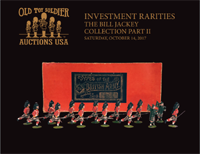 Old Toy Soldier Auctions Presents OTSA 42 Part 1 Investment Rarities The Bill Jackey Collection Part III on Saturday, October 6th at 10AM Eastern Time! 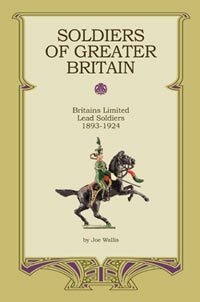 Featuring Pre and Post War Britains, Paris Office, Special assortment sets and more from the prestigious Bill Jackey Collection! 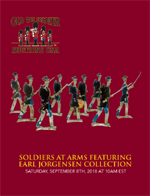 Old Toy Soldier Auctions Presents OTSA 41 Soldiers at Arms Featuring the Early German Collection of the late Earl Jorgensen on Saturday, September 8th at 10AM Eastern Time! 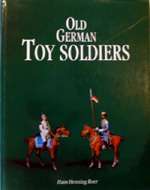 Earl was an avid toy soldier collector specializing in the production of German and Austrian toy soldier companies from the 1700s to World War One. His research was second to none and he was a regular and valuable contributor to Old Toy Soldier Magazine for many years. 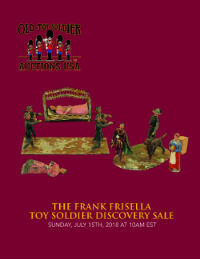 Old Toy Soldier Auctions Presents OTSA 40 The Frank Frisella Toy Soldier Discovery Sale on Sunday, July 15th at 10AM Eastern Time! The auction will feature Britains, Bussler, Cherilea, Crescent, Dimestore, Elastolin, Greenwood and Ball, Hausser, Heyde, Johillco, Mignot, Lineol, Nostalgia, Timpo and more! 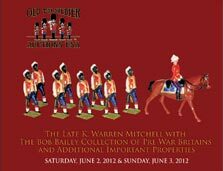 Old Toy Soldier Auctions presents OTSA 39 Trooping the Colour, which will feature 3 days of auction beginning on Friday, May 18th at 2pm est! 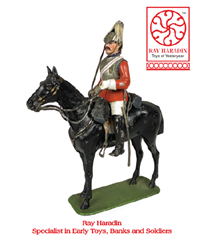 DAY 1 of the auction will feature Authenticast, Britains, Blenheim, Cherilea, Comet, Elastolin, FAO Schwarz, Heyde, Hocker, Imperial, Marlborough, Mignot, Potsdamer Zinnsoldaten, Salco, Starlux, Steadfast and T & M Models. DAY 2 of the auction will feature Alymer, Bastion, Blenheim, Britains, Cherilea, Crescent, Dimestore, Ducal, Elastolin, Farm, Imperial, Johillco, King and Country, Marlborough, Mignot, Napoleonic Military Miniature, Ping, Selwyn, Steadfast, Timpo, Tradition, Hocker and more! 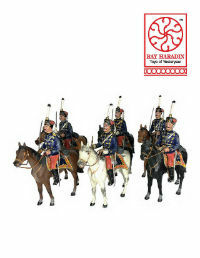 DAY 3 of the auction will feature AQM, Barclay, Bill O'Brien, Britains, Caberfeidh Miniatures, Cherilea, Dimestore, Distler, Ducal, Heyde, Hocker, Imperial, John Jenkins, Kingcast, Lineol, Manoil, Mignot, Monarch, Potsdamer, S & S Miniatures, Soldier Centre, Soldiers of the World, Steadfast, Tradition, Trophy and more! 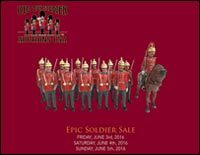 Featuring soldiers by Britains, Authenticast, Alymer, Barclay, Beiser, Bleheim, Mignot, Charbens, Cherilea, Collectors Showcase, Courtenay, Crescent, Dinky, Dorset, Ducal, Elastolin, Lineol, FAO Schwartz, Ping, Figarti, FG Taylor, Frontline, Gainsborough Miniatures, German Flats, Haffner, Hans Dorfler, Hausser, Heinrich, Heyde, Hocker, Imperial, JG Miniatures, Johillco, King & Country, Pfeiffer, Quiralu, Timpo, Thomas Gunn, Tradition, Wollner and more! 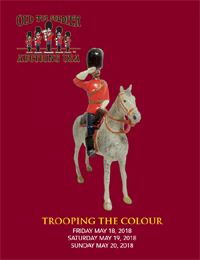 Featuring soldiers by Authenticast, Blenheim, Britains, Courtenay, Elastolin, Imperial, King and Country, Marlborough, Mignot, Mulberry, Nickolson Miniatures, Trophy, Vertunni and more! Watch Ray and Bre live on Facebook/oldtoysoldier on February 14th at 7pm est featuring items and answering questions from this auction! 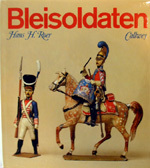 Featuring soldiers by Britains, Birmania, Beiser, Authenticast, Cherilea, Composition, Courtenay, Crescent, Dimestore, Durso, Elastolin, French Penny Toy, Lineol, George Munkle, Haffner, Hausser, Heyde, Hugar, Johillco, Lucotte, Mignot, Pixyland, Pfeiffer, Sacul, Segum, Timpo, Tippco, and more! Comprehensive in scope, the Jackey collection represents a virtual history of Britains production from its inception in 1893. 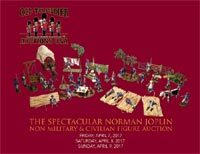 The Spectacular Norman Joplin Non Military and Civilian Figure Auction with Exceptional Additions from The Malcolm Forbes Collection. Price: $50 US $60 International shipping include. 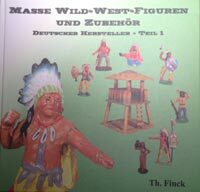 Price: $40 US $50 International shipping include. Our November sale will start at the gate with the exceedingly rare boxed Britains Four Horse Race (Estimate $6,000 $8,000)-- a truly exceptional toy. We will also be selling a rare Haffner Chinese Emperor Set, a near mint in box Britains Royal Mail Van, Britains Racing Colors and some wonderful Civilian sets. 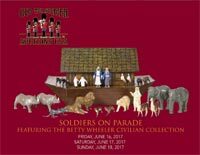 The highlight of the auction will be the only known boxed example of Set #10 The Salvation Army. Mr. Cook is one of the world's premier collectors. His discerning eye and discriminating taste have suited him well in the construction of his many world class collections. The finest Duck Decoys, Space Toys, Slot Machines and Toy Soldiers have all been assembled with the sole purpose of collecting the best each field has to offer. 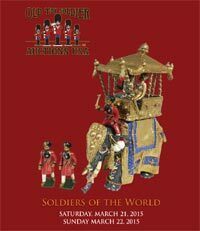 The World of Toy Soldiers A three day Extravaganza Friday August 28, 2015 1pm EST Saturday August 29 10am EST Sunday August 29 10am EST Over 1600 lots representing the World's Finest Toy Soldiers --- Alymer, Britains, British Bulldog, Beau Geste, Collectors Showcase, Conte, Ducal, Figarti, Front Line, Fusiliers, Thomas Gunn, King and Country, Kingcast, Malborough, Mars, Monarch, Nicholson, Nostalgia, Soldiers of the World, Sarum, Steadfast, Ted Toy, Tradition, Trophy to name a few of the manufacturers offered. 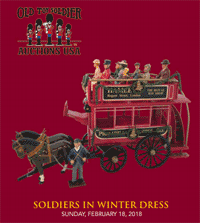 A wonderfully diversified collection of toy soldiers to be sold to the highest bidders! Bid online and sign up now or through an absentee bid. 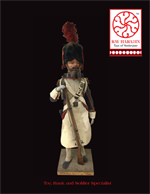 Auction Catalog for June 27, 28 & 29, 2014 The James A. Henderson Collection. Britains, Britains Paris Office, Heyde, Mignot, Lucotte, King and Country, Trophy, Ducal, Fusilier, Steadfast, William Hocker, Stadden, Monarch, Imrie & Risley and Imperial. Auction Catalog for November 16, 17 & 18, 2012 Auction - The Arthur Puglisi Collection with additional properties. Three day auction featuring over 1000 lots. 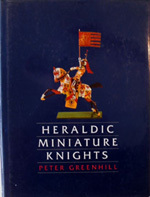 Peter Greenhill and Mario Venturi, 2005 An excellent resource to the high art of original heraldic illustration on miniature figures in the round and the research that goes into its interpretation. 182 color pages. Price: Price $60, Shipping $10, $20 International. Richard T. Claus, 2005, USA. With over 450 photographs, showing more than 1000 toy ships, this richly illustrated book covers the whole range of its subject: from the most expensive hand-painted tin masterpieces to the cheapest wooden creations. Color, 204 pages. Auction Catalog for the John (Doc) Wengert & Vincent C. Banker Collections and Various Properties Auction.